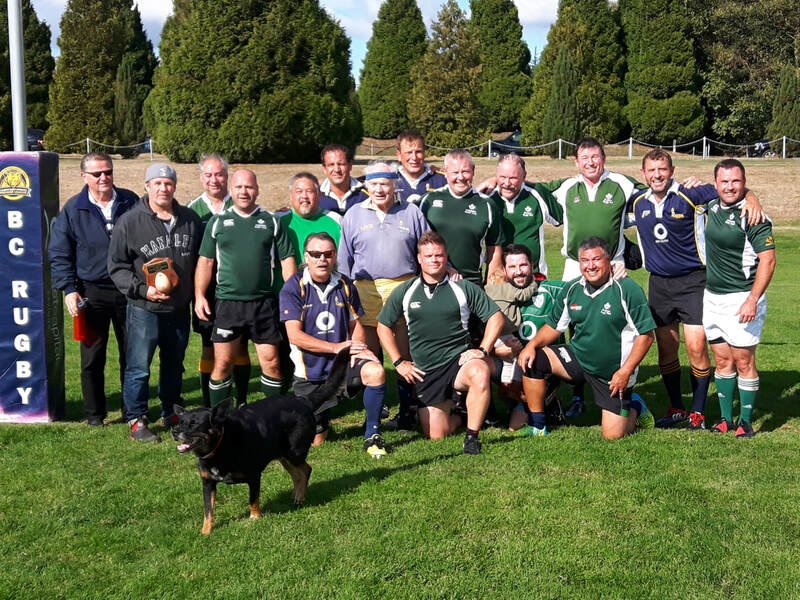 The next Evergreens game on October 29th has been moved to Brockton Oval to take advantage of the fact that the Canada 15s will be practicing for their upcoming game versus the Maori all Blacks just prior to our game. Come and bring your families and friends to this great opportunity for a chance to mingle with Canada's best in our own clubhouse! We want this to be a huge success so we call on all members to come to watch the game and even put on the colours and play a bit! As for the game yesterday, no one could remember the last time we got so many players out for a game! With the help of the Twits who courageously stepped in during a "bye" week, we fielded a team and still had 8 players on the sidelines aching to get on the field (or just aching). We faced a tough team in Abby who've bolstered their ranks with some big hitters with some professional experience. We're all grateful that Barry Magrill still has his head (somewhat) on his shoulders, that the doctors were able to find Dallas Millard's arm and place it back in his shoulder, that Mike Jackson's nose at least broke straight and not sideways, and Paul's ribs didn't protrude out of his jersey. The visitors were up 1 try with 3 minutes left but a last desperate series of plays allowed the home team to even the score with a brilliant dash across the line. In other words, it was a great match! We thank the Twits for supporting us for the game and we would like to reciprocate their action by helping them out next week when they host Nanaimo. ​Last Sunday's game at South Surrey Athletic Field against the SOBS was a barnstormer! the Evergreens fielded a fast young team that gave fits to the opponents all over the pitch. The Forwards put up a big wall and shut down the SOBS' movement up the middle while the quick transition to the backs on turnovers made them scramble to attempt to contain the Evergreen charge. Many tries were scored and even Chris Mant trotted across the finish line in suberb form without dropping the ball even once. 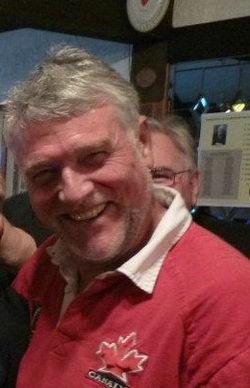 Man of the match went to the Rev on the occasion of his 82nd birthday and he even pitched in a try to boot! Many thanks to the SOBS for a great hosting! Numbers for the game were good but can even get better. We were happy to have subs and would be happy with even more. If you want to be a part of the current momentum in the club come on out and wear the jersey with pride!